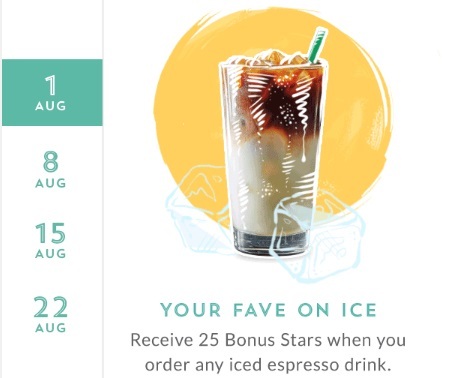 This Monday at Starbucks when you buy any handcrafted iced espresso drink, like an Iced Macchiato or Iced Latte before 2pm you will receive 25 bonus stars! Offer applies on August 1 from open to 2pm at participating Starbucks store only. Must pay with your registered Starbucks App. Bonus Stars will be automatically loaded to this Starbucks Rewards account within 24 hours. Click here to browse these Starbucks deals.